The engine dynamometer team set out to completely redesign and fabricate a mobile engine dynamometer to test the performance of our engines. An accurate dyno is instrumental to tuning our engine’s EFI system to achieve good brake specific fuel consumption (BSFC), which is a measure of how efficiently an engine uses fuel to create power. 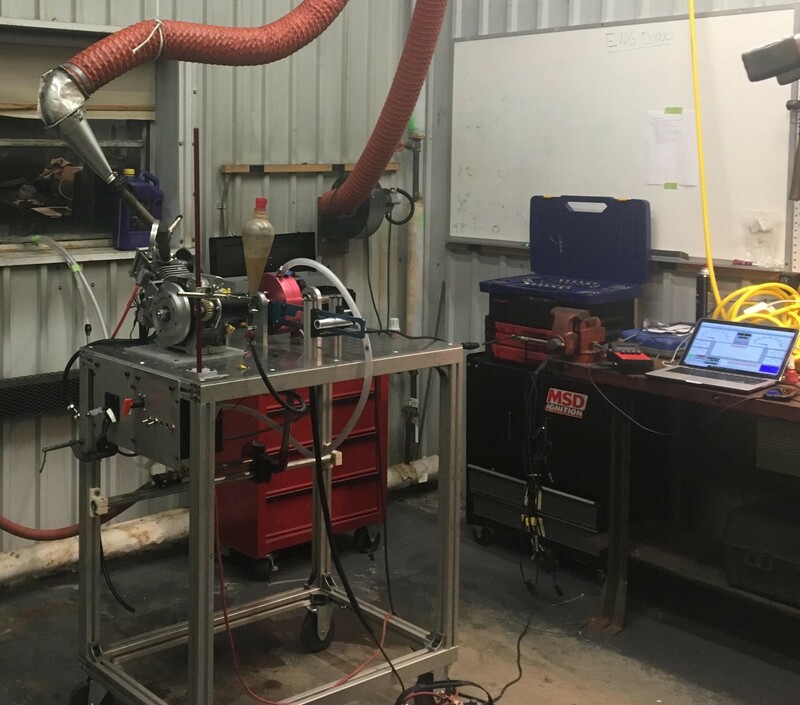 After researching various absorption methods, we chose to implement a water brake absorber in our engine’s dyno, for its power variability and relative ease of use compared to other designs. Our dyno utilizes a 7” toroidal rotor from Dynomite Dynamometers, along with a data collection computer and the Dynomax software. The software package plots Torque vs RPM graphs to find horsepower at any given engine speed, along with other data used to calculate BSFC and properly tune the engine. On a typical run we load down the motor by opening a load control valve, and run through the engines RPM range. We can also simulate constant loads at full throttle, which is typical on acceleration runs at competition. 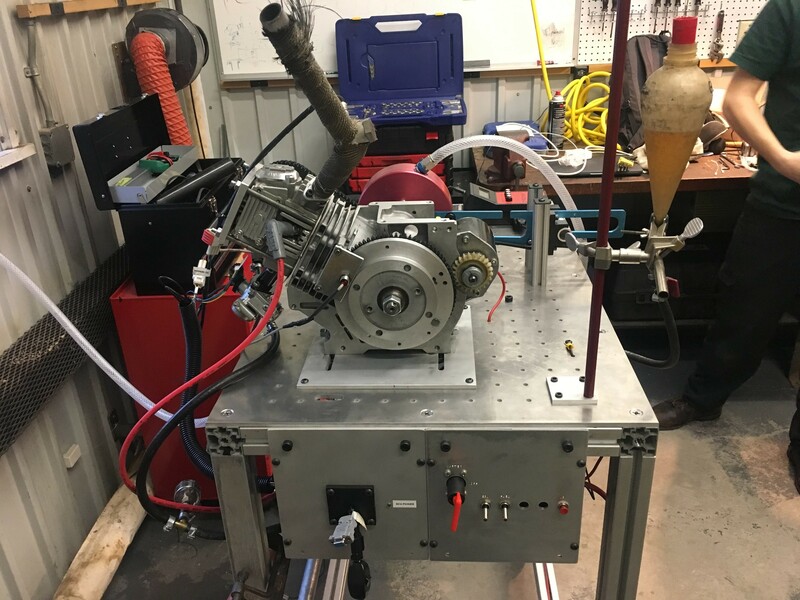 We have plans to install a computer controlled load valve which can simulate dynamic loads that the engine will encounter once it’s in the car. The cart is assembled from T-slot aluminum rails coupled with a water jet cut aluminum top plate. The top plate was designed to align the centerline of the engine’s output shaft with the rotor shaft, facilitate installation of other components such as the torque arm supports, and allow for plumbing reliefs. A standard bolt pattern was added to the rest of the plate to allow for ease of future modifications. 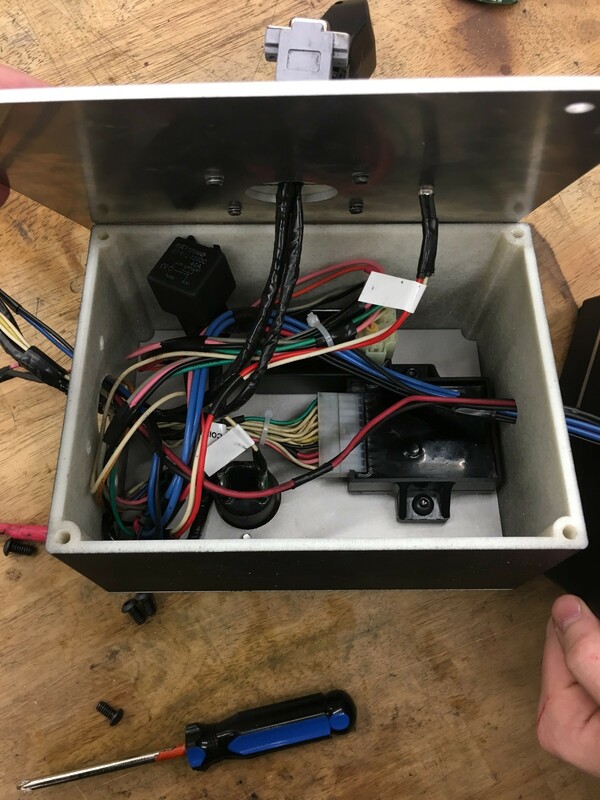 There are two electrical boxes which house the EFI equipment, and all other hardware required to run the dyno, including fuses, relays etc. 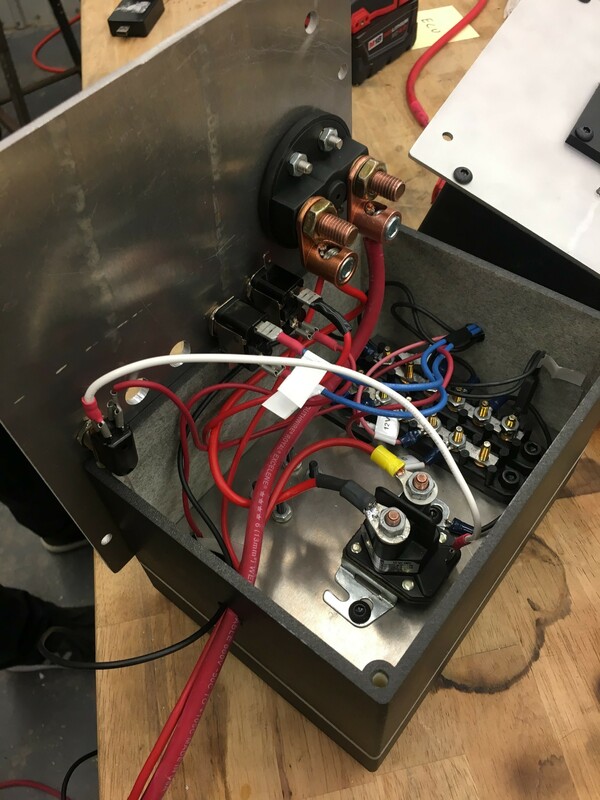 The boxes were designed to safely operate the engine and provide an enclosure to the protect the electrical components from oil or water. 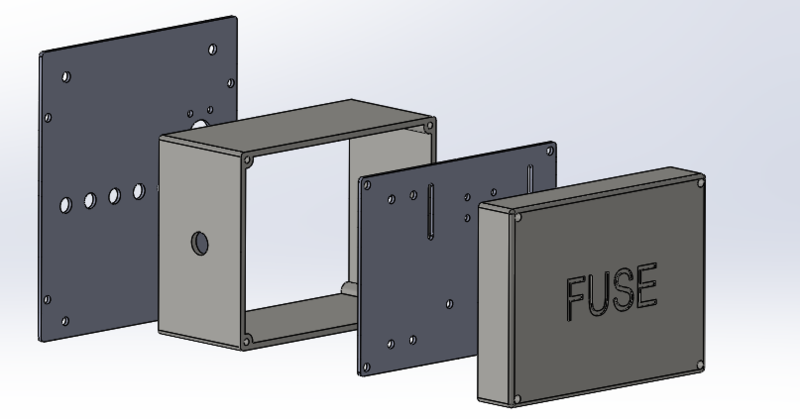 The enclosures were made of ABS printed boxes which were coated in plasti-dip, sandwiched between waterjet cut aluminum plates. After a few weeks of tuning the dyno/EFI team was able to almost double the power of our 88cc engine from the standard tune. Tuning will continue on our 88cc and 50cc engines in the following months as we prepare for competition. 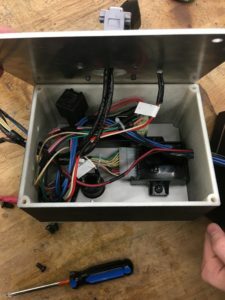 The chassis dyno project seeks to provide the team with a portable option for gathering engine data, that doesn’t require disassembly of the SMV. A chassis dyno utilizes the rotation of a vehicle’s wheel(s) to gather torque and power readings at the wheel(s). 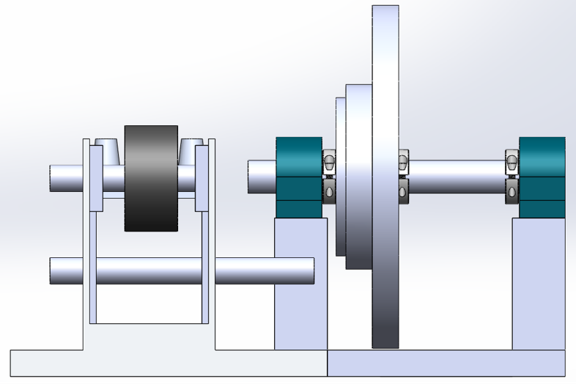 By applying an opposing force to the wheel’s rotation a chassis dyno can measure output torque, coupled with an accurate engine speed rating it can also provide horsepower readings. The conceptualized SMV chassis dyno will use a caliper and disc brake mounted on a shaft operated by the wheels rotation to provide an opposing force. Attached to the caliper brake will be a moment arm, and a force gage at the end of the arm. This coupled to an Arduino will give us a real-time torque reading. A Halifax sensor mounted to the rotating shaft will give a real-time reading for speed. When this speed is calibrated to account for the gear reduction from the engine, to the wheels, and to the rotating shaft, this reading can be used to produce a real time horse power reading. 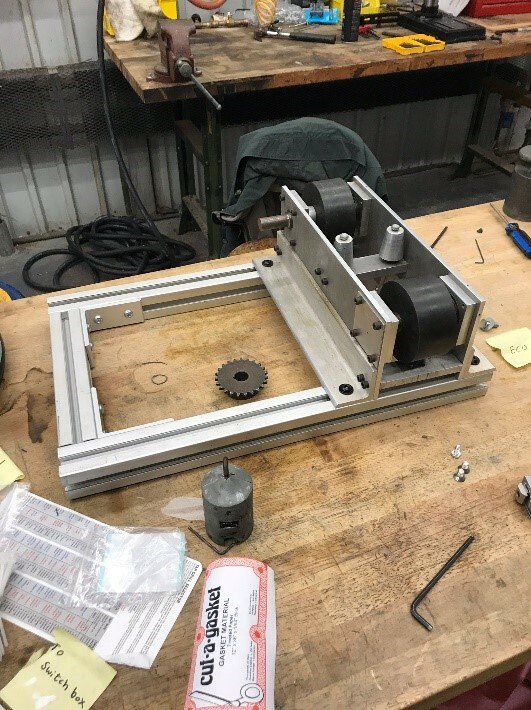 Currently the chassis dyno’s frame has been assembled, consisting of rollers for the SMV’s rear wheel and guides to align the wheel on the rollers. 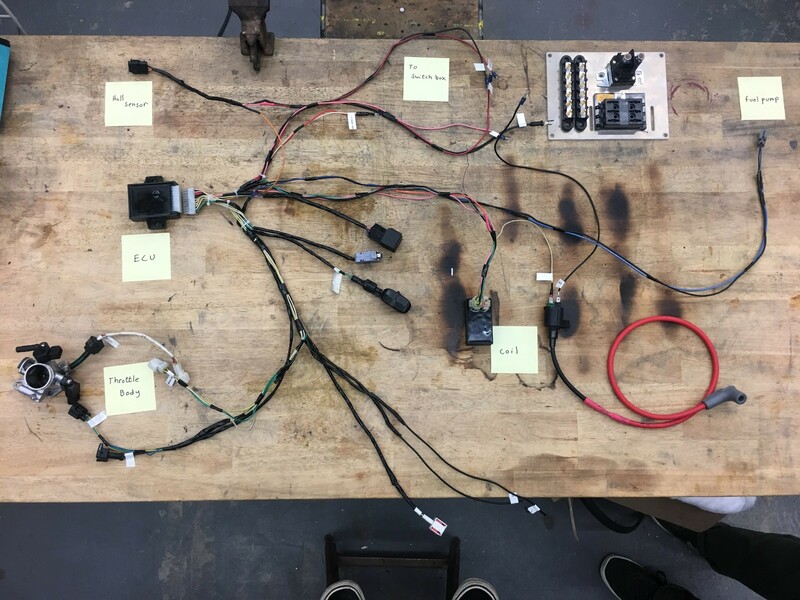 This semester we hope to mount the disc brake, create the chain drive reduction, design and construct the braking element, and sort our electronic data acquisition.